The Pomona Grange is the equivalent of the County-wide/Regional Grange. Subordinate (Local) Granges within a given district are grouped together on a county or regional basis into Pomona Granges that meet monthly or quarterly. The Pomona Grange offers the Fifth Degree of the order, thus extending the lessons and opportunities of the Subordinate Grange. The Pomona Grange provides the leadership for educational, legislative, and business interests of the Subordinate Granges in its jurisdiction. In the State of Connecticut, there are 3 Pomona Granges. 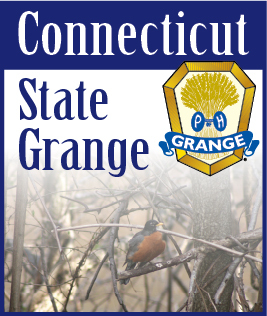 Note: The CT State Grange Executive Committee has now implemented the resolution passed at the 2016 Annual Session of the Connecticut State Grange that directs them to establish boundary lines for new Pomona Granges in the State. 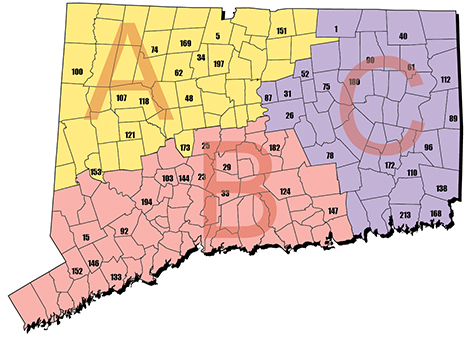 The Community Granges in Connecticut have been divided into three new Pomonas - created in early 2018.